A section of Lamu leaders and locals are opposed to the recently launched Family Planning initiative, terming it as an intention to ‘reduce’ the already low population in the county. Recently, the Lamu County Health Department launched a three year Family Planning Costed Implementation Plan (FP CIP) that seeks to fight low contraceptive use in the region. The plan focuses on accelerating the increase of the county’s modern contraceptive prevalence rate from the current 43 percent to at least 46 percent by the year 2020. Addressing journalists in Lamu however, the locals led by nominated MCA Amina Kale said there was need for women to be left free to give birth to enough children provided they consider child spacing in order to increase the county’s population. Mrs Kale warned that countries like Canada have faced challenges of ageing population due to family planning, a move that has contributed to the country’s lack of the young generation to work in the various sectors. She proposed that every family in Lamu be left to have at least six to seven children before embarking on serious family planning if need be. “We appreciate the efforts by the county health department to introduce family planning strategies. All in all, let it not be treated as a way of reducing the number of children born in Lamu. Family planning is an issue for a county like Lamu where our population is already low. We have been getting the least allocation from the national treasury every year with main reason being low population. It’s high time that our women be left to give birth to enough children provided they consider child spacing. It is good if each family has at least six to seven children before embarking on serious family planning if need be,” said Mrs Kale. Lamu Coastal Indigenous People’s Rights for Development (LCIPRD) Executive Director Is’haq Khatib said family planning is unwarranted in a county like Lamu which is mostly made up of the minority tribes such as the Bajuni, Sanye, Boni (Awer), Orma among others. Mr Khatib says introducing family planning strategies in Lamu is similar to finishing the future generation, which will in turn lead to the county’s lack of future leaders. He says currently, the county has experienced major posts being taken by citizens from other counties since Lamu itself lacks people with such capabilities. “I am totally opposed to any family planning strategy especially for Lamu. The Bajuni, Sanye, Orma and Awer communities which make up Lamu are already a minority tribe. That’s why most leadership posts in Lamu are taken over by people from other regions. Introducing family planning here is similar to forcing us to continue to be within the minority tribe bracket and it’s improper. People in other counties continue to give births like insects. So let us be left freely to give birth so that we can also raise our numbers,” said Mr Khatib. 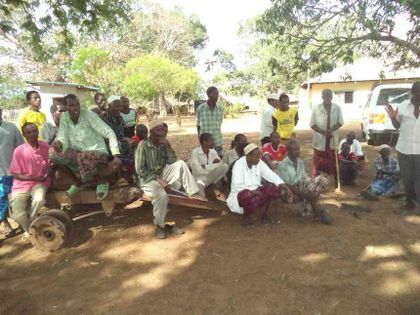 Mr Mohamed Mbwana, an elder and the Chairman of the Shungwaya Welfare Association said Lamu was greatly affected by the Shifta War of the 1960s which saw very many indigenous people of Lamu moving out of the county and residing in other regions of Kenya and outside. Mr Mbwana said that alone has resulted Lamu to continue to have a low population. He says most youth in Lamu are also affected by drugs, a situation which has subsequently resulted to low birth rate. “We don’t need family planning in Lamu. Many of our people fled the Shifta War and are living in Ngomeni, Mambrui, Malindi, Kilifi, Mombasa, Nairobi and even in Tanzania. That has greatly affected our population to date. We also have a low population since many of our youth are affected with drugs and can’t marry and give birth. That means introducing family planning in Lamu will contribute to an even lower population. I am not supporting it at all,” said Mr Mbwana. The total population of Lamu was estimated to be 101,539 in the 2009 Population and Housing census with an annual growth rate of 2.47 percent. Today, the county has a population of over 120,000 people.